The SFJAZZ Collective is an all-star ensemble comprising eight of the finest performers/composers at work in jazz today. 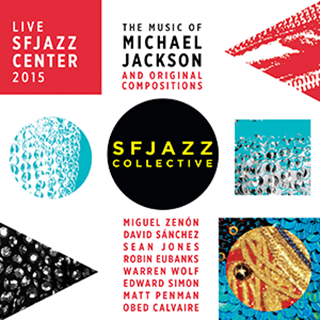 The group’s new limited edition two-disc live CD, which was recorded live at the SFJAZZ Center in San Francisco this past October, features new arrangements of Michael Jackson classics like "Thriller", "Smooth Criminal", "Human Nature", "This Place Hotel" and more, as well as eight new original compositions by the band. The 22-page booklet contains exclusive photos, interviews and commentary from the band. · Limited edition 2-CD set available exclusively through SFJAZZ – not available in stores. · Each CD set is numbered. · Booklet contains exclusive photos from the live performances at the SFJAZZ Center, liner notes by jazz journalist Jesse Hamlin, insights by the musicians and artist bios. · The compositions of King of Pop Michael Jackson, arranged by members of the Collective. 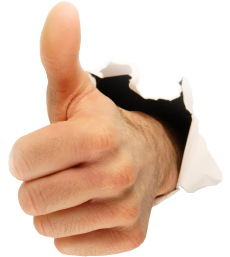 · New compositions by individual Collective members commisioned by SFJAZZ. A brief breath of bass explodes into a lush groove led by drummer Zane Rodulfo and decorated by an impressive line-up of Dayna Stephens (tenor saxophone & EWI), Nir Felder (guitar), Marvin Dolly (guitar), Noble Jolley (piano & Fender rhodes). “Trismegistus” may begin quite simply with Luques Curtis’s bassline plucking its way along a string of milliseconds, but the remainder of the track’s 4 minutes and 8 seconds venture into the stretches of Rodulfo’s musical mind. 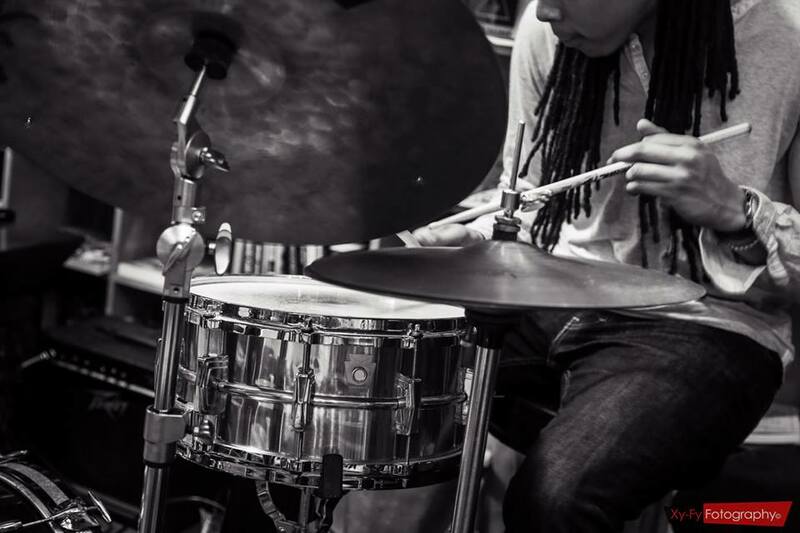 Born and raised in Trinidad and Tobego, Zane Rodulfo left his home for the undergraduate program at Oberlin College & Conservatory, ultimately completing his Masters at New York University. This web of geographical influences crop up across the entirety of Rodulfo’s upcoming Pathways EP, including this lead track, “Trismegistus.” In crafting Pathways, “I explored and utilized some of what I heard growing up in Trinidad & Tobago and then in the States, where I moved in my late teens,” Rodulfo said. He went on to explain, “I decided to pay homage to Caribbean rhythms, motifs as well as more contemporary Afro-American, so-called Jazz, ideas and sounds.” But fear not, the tourist-baiting steel pan sound on which commercial calypso banks makes no appearance: the kit (courtesy of Victor Provost and Earl Brooks Jr.) is respected alongside his own drums, layered into the sound rather than tacked on top in hopes of adding “Caribbean flavor.” These Caribbean rhythms and motifs meld effortlessly with Rodulfo’s “so-called Jazz,” creating a feel that could only flow from an artist entrenched in a global network of sounds. “Trismegistus” traverses its way through this young artist’s journey, taking its listeners along as it pulses with soft-spoken vibrancy. The rhythm tumbles forward, driving the piece forward as each section unfolds into something new, eventually unveiling a climactic EWI solo by Stephens. The piece fades nearly as quickly as it begins, drifting into quiet swells of sound until nothing remains. 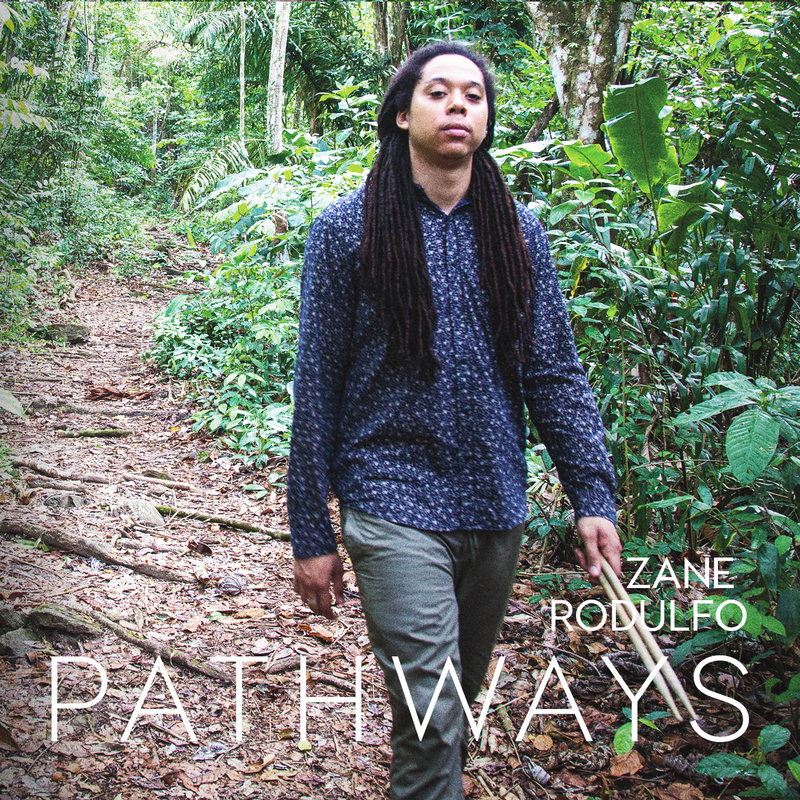 Zane Rodulfo’s Pathways will be released February 26th, and is available for pre-order February 1st.